I do apologize for the color over load on the blog lately. I just can’t contain myself. Months of gray, dismal weather have left me aching for color. A conversation that seems to repeatedly come up with friends and co-workers is a concern with the lack of color in many of our wardrobes. Classic colors like black and white are vital for a sharp and sophisticated style. Every now and then you have to switch up your routine with friends. Dining out can be expensive, coffee shops can get old, and shopping-well we all know how that ends up. Payless is the type of place I tend to forget about. It’s not a place I frequent because I haven’t had any luck there probably since high school or early college. As much as I try to incorporate color into my winter wardrobe, sometimes it’s just so much easier to throw on my go-to black cardigan or gray blazer. B-O-R-I-N-G. 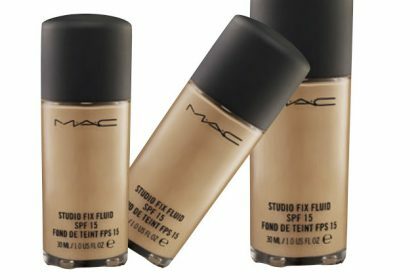 I bought the MAC Studio Fix Fluid Foundation with SPF 15 a little over a month ago. I wanted to wait a while before I posted the review to really get a feel for the product. I remember hating stripes in high school. One day I wore a black and white striped top with white pants to school and I regretted my decision immediately. Ok, I admit. I went a little crazy. 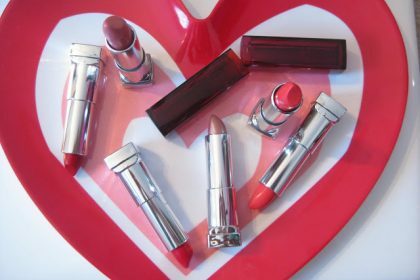 I was at Marc’s, a local discount grocery store and in the closeouts section they had a fresh batch of Maybelline Color Sensational lipsticks piled in baskets for 99 cents.